Former CEO Peter Granat will transition to chairman of the Cision board of directors. CHICAGO: Media intelligence company Cision has picked Kevin Akeroyd to succeed Peter Granat as CEO, effective on Monday. Granat, who has served as CEO of Cision Group since October 2014, will transition to chairman of the Cision board of directors. 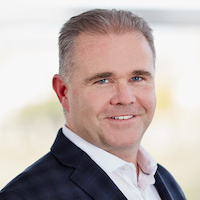 Akeroyd is joining Cision from Oracle Marketing Cloud, where he was GM and SVP, responsible for heading all customer-facing aspects of the company, including sales, account management, marketing, and customer support and services, according to Oracle’s website. Before that, Akeroyd was SVP of field operations at Badgeville. His earlier roles include GM of the Data.com business unit of Salesforce.com and COO of Jigsaw prior to its acquisition by Salesforce.com. Cision’s leadership change comes on the heels of a string of acquisitions over the past two years. Since fall 2014, Cision has snapped up companies such as Viralheat, Visible Technologies, and media intelligence and data insight specialist Gorkana Group. Cision and Vocus combined under the former’s brand in October 2014. Most recently, Cision bought PR Newswire for $841 million, in a deal that was finalized in June. Cision's revenue has increased from $130 million to more than $630 million under Granat, the company said in a statement. Granat has worked for Cision since 2003, when the company acquired tech startup MediaMap, where he served as an SVP. He was named president and CEO of Cision Europe in January 2009, president and CEO of Cision North America in March 2012, and chief executive of Cision Group in October 2014. Headquartered in Chicago, Cision has more than 100,000 customers worldwide and maintains offices in Canada, the U.K., France, Germany, Portugal, Sweden, Finland, and China.